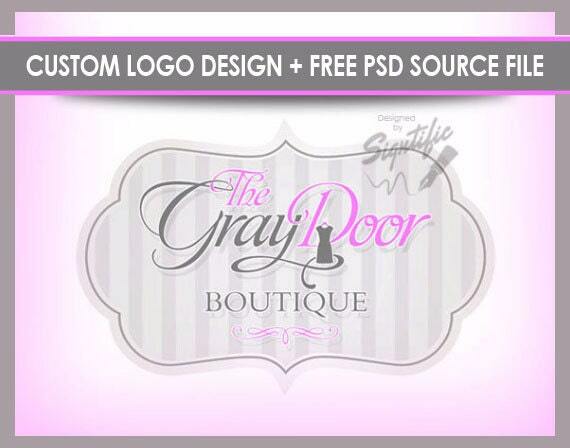 This is an elegant chic fashion boutique logo design in pink and gray or your favorite colors with a nice frame, scroll and a dress image/clipart incorporated plus FREE PSD source file. I will imprint your personality onto your logo using your text, slogan and favorite color scheme to make a good impression with your clients and friends. Need something similar or a different business type? Please message me if you have any questions or custom requests! The displayed picture is an actual design sample created for a client. ✔ A high resolution jpeg format. ✔ A png format on transparent background to paste it on any background color. ✔ 100% customer satisfaction guaranteed. ✔ One revision or tweak if needed. ✔Step 1: Place your order and make payment. ♦ Name or text for the logo. ♦ A tagline or slogan if available. ♦ Color scheme, up to 3 colors. ♦ A Valid e-mail address for delivery. ✔Step 3: I will send you a message to confirm your order. ✔Step 4: I will work on your design and send you the files via e-mail within 1-3 days. Please send me a message with any questions, I will answer promptly. Looking forward to designing for you! 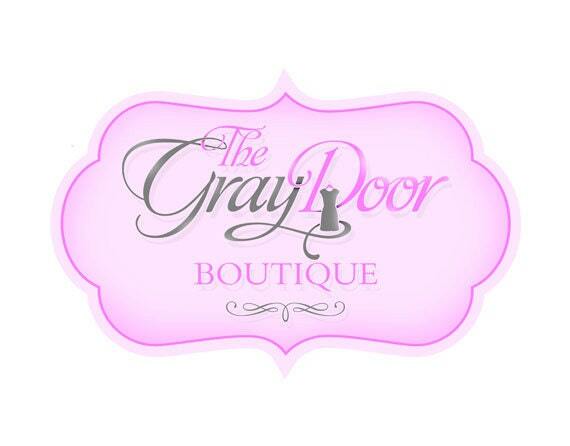 We accept PayPal and Etsy direct checkout. You can pay by credit card even if you don’t have a Paypal. Our personalized products are delivered via email within 1-7 days after payment and information is submitted. Our 24-Hour Service designs will be delivered in 1 day after payment and information are submitted. Our digital clip art and printable items are available through instant download upon payment. *Packages that include physical business cards are only available to US customers. We do not ship internationally at this time. Due to the nature of the product no refunds can be offered once payment has passed. If there is a problem with your file or design, you must contact us within 7 business days and we will be happy to resolve the issue for you. If the issue can not be resolved for any reason, a partial or full refund may be offered. Each case will be assessed accordingly. We do reserve the right to cancel any order and issue a refund at anytime. If for some reason the order was cancelled and a full refund has been issued after we deliver the files for the design(s) You will no longer have the legal rights to use the design(s) on website, social media and any promotional or printable items. ● Any additional work requested after the purchase other than what was agreed on and specified will result in extra charges. ● Changing the name of the business after we deliver the logo files, requires reordering as this is the core of the design. ● Extra charges will be required if extra work requested after the specified modification in the listing is performed. ● We do not share or disclose the name of the fonts/typefaces we use as this is part of our trade that makes us unique. We do spend a considerable amount of time with a lot of thoughts selecting the right fonts to create the beautiful designs you see! Q: Do you create custom branding packages? Logo, matching label design, social media banners, web banner, Etsy banner business cards, e-mail signature, letterhead design, watermark, hair tags, avatars. Please specify the items you're interested in and we will create the package and send you the link to place your order from. Q: Do I simply send the colors that I desire or do I have to go with the colors in the logo I see? If those are not enough you can provide your own HEX# and we can work with that. Q: Do you provide a proof prior to ordering? A: Unfortunately not at this time. We start working after the order is placed. Q: Can you also provide some type of image if I wanted more than just the words. Like a symbol? A: We can add an image or clipart for an extra charge. Q: Do I simply choose a design or style from your shop and send you the text and colors? Q: What it is your turnaround time? A: 2-3 business days for logos design. Business cards, hair tags, flyers take 7 business days. Q: If I already have my logo drawn or sketched but just need it perfected could you do this? A: Definitely! Please send it over prior to ordering. Q: Can you create a product label from the logo? A: Yes, we can create product label design based on the logo we previously created for you, or do both at the same time. Q: Can you add initials to a logo? A: Yes; however, an extra charge may apply. Q: Can I request that you make minor changes to one of your designs, such as a slight wording change? Q: Can you add sparkles to the logo? Q: How will I receive my design? A: We will send you a zip file containing the file(s) of your design. If the file is too large we will upload it and send you a download link. Q: Can I buy one of your previously made or semi custom designs? A: If the ownership certificate was not purchased we will still own the design and we have the right to resell it or display it on our site, etsy shop and social media platforms as our work sample. * If you intend to trademark the logo we create for you then you must mention it prior to ordering to make sure we create something totally custom and unique for you. An ownership certificate must be purchased from us. Q: Do you keep the designs on file in case I need changes? A: We do keep the designs for a limited time; additional charges may apply to retrieve the design or perform any additional work. *Orders left without any of the info above may be cancelled. * We reserve the right to modify the policy at any time without prior notice. Please contact us for licenses or more information.